If patterns were a buzzword then the Persephone Pants are, right now, the hottest one out there. 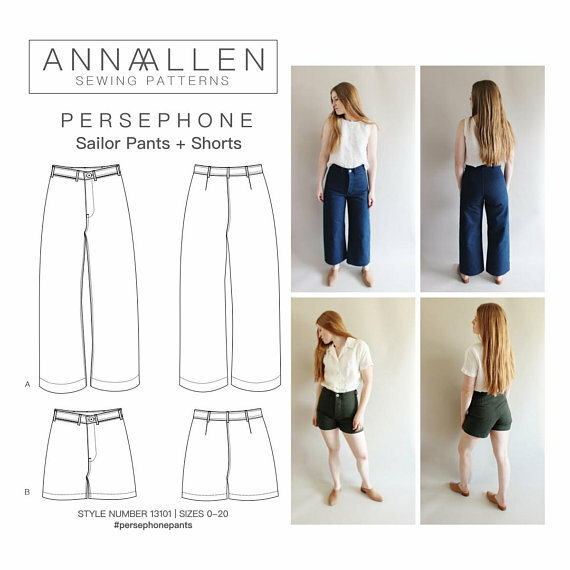 The pattern, produced by Colorado-based designer Anna Allen, is described as being “based on photographs of men’s 1920s-’40s US Navy sailor pants.” The design features a high waist, concealed button fly and, most interestingly, each leg is made up of a single pattern piece meaning no side seams. 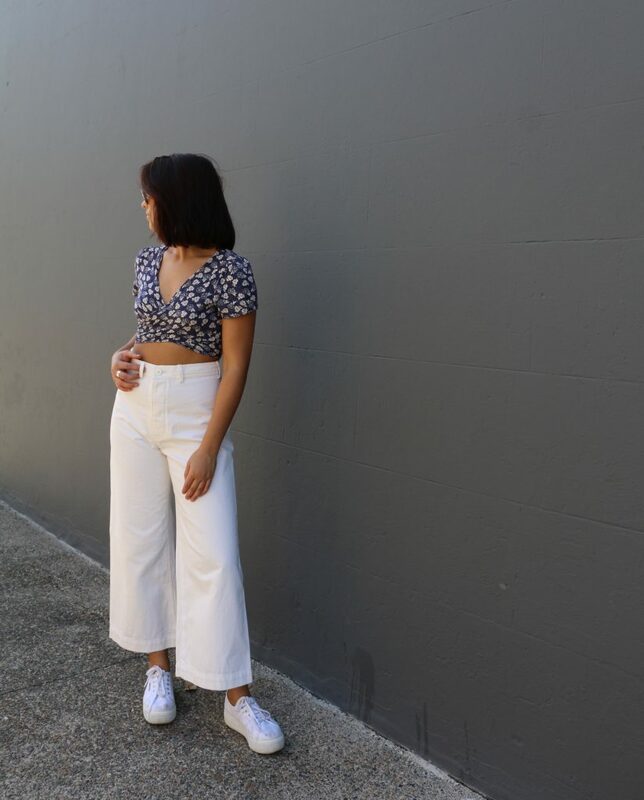 The pattern also includes options for both cropped leg pants as well as shorts. 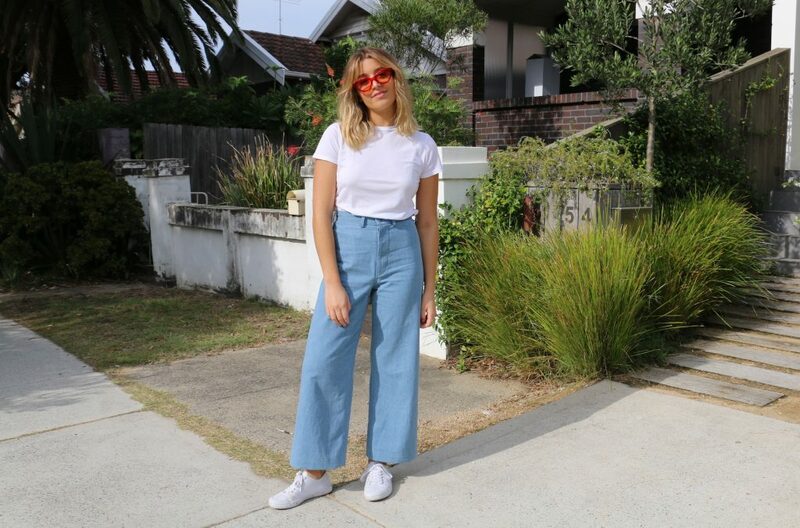 If you’ve been coveting this incredibly popular cropped, wide leg trend (Kamm Pants anyone?) then you must give this pattern a go. The illustrated instructions are fantastic and super straightforward. Colette recently made two pairs – one each for Gabby and Claudia. 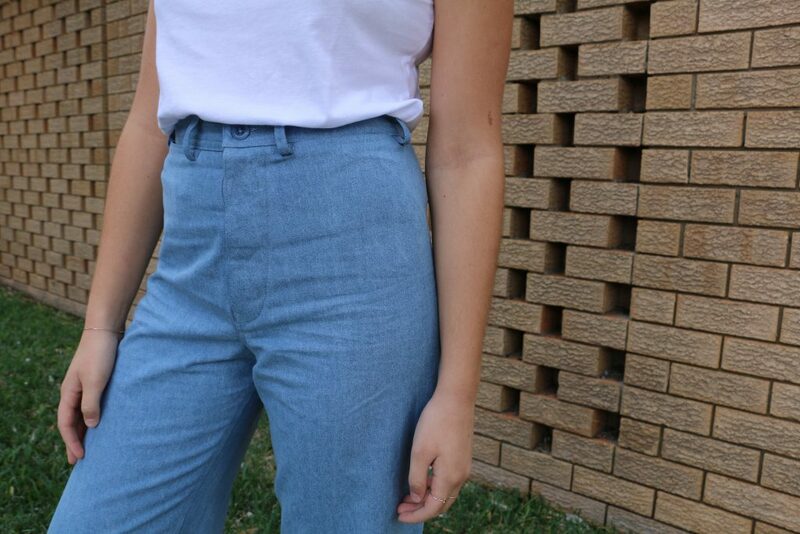 Gabby’s pair are made up in our 7.5oz Light Blue Denim and channel pure 1970s. She made a straight size 4 without any alterations. This isn’t in the instructions but the recommend you sew a line of stitching in between each buttonhole. This connects the button fly and facing together helping it to sit nice and flat (and thanks to Chatswood staff member Eleanora for that excellent tip!). 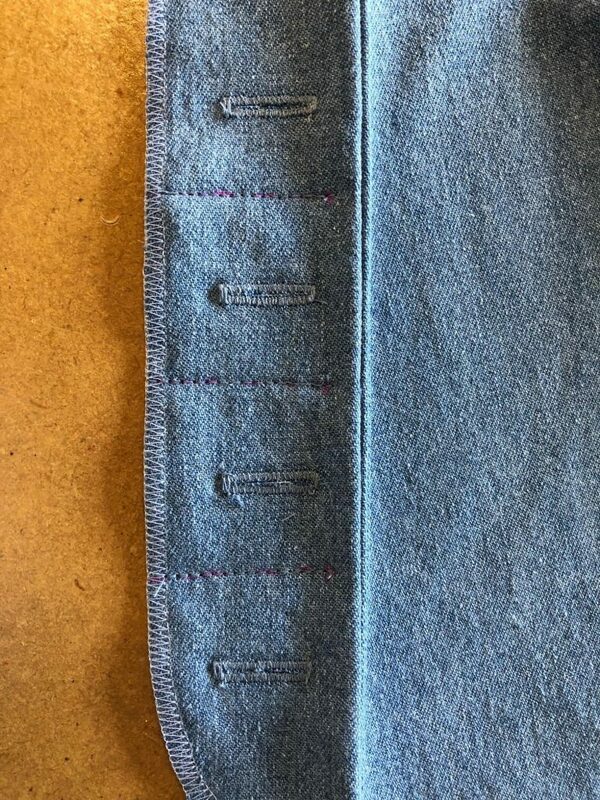 Colette sewing up Claudia’s pair in our 100% cotton, 10oz Zeta Jones Denim. The pattern does feature a clever little concealed pocket that sits nicely between the button loops. Colette included it on the blue pair and left it off the white. The pattern recommends “woven non-stretch fabrics, however 3%-5% stretch woven fabrics can also be used”. 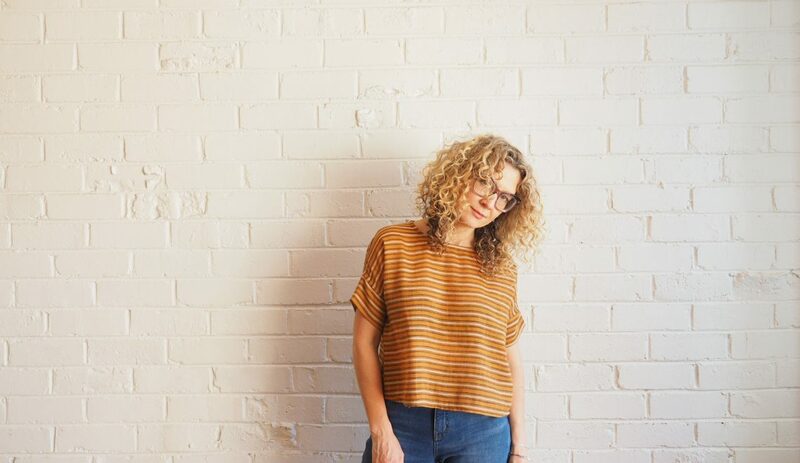 If you want a more pronounced flare and shape, go for a more stable fabric like denim or canvas. 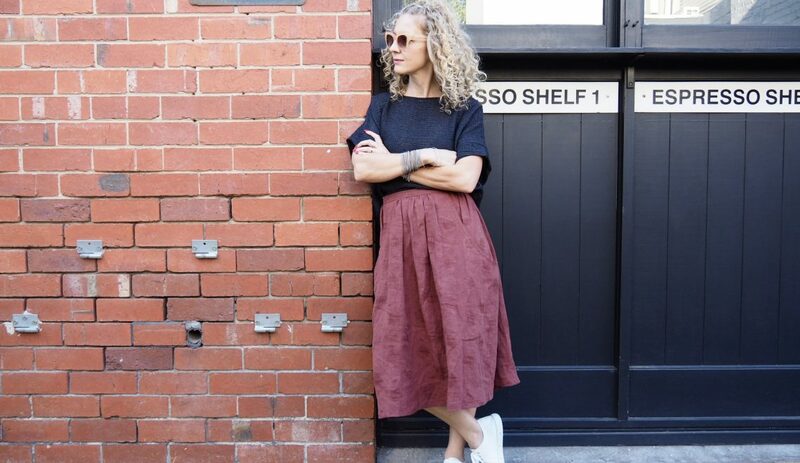 For a more relaxed style, we’d suggest mid to heavy weight linen or cotton drill. If you want to see more Persephones, check out all these lovelies over on Instagram. These look amazing! I love the style and would now like to make both a blue and white pair! 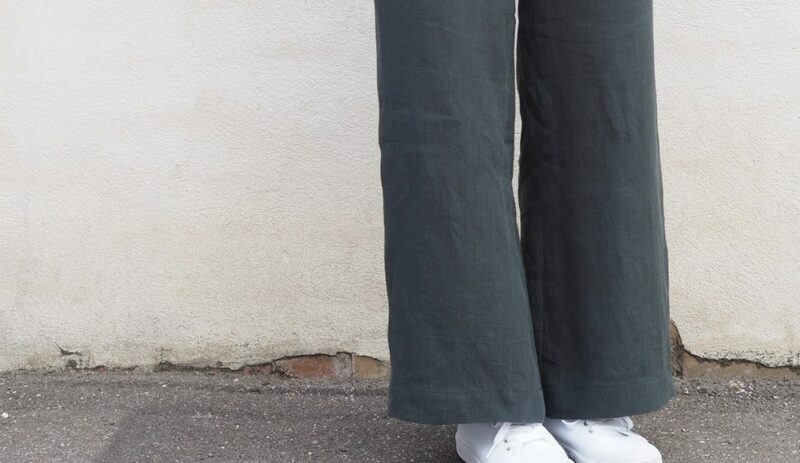 Sailor pants are ironed inside out to make the bell flare out with a nicer look and the side crease less prominent. I like the style. Great job! And thanks for the buttonhole tip. I had noticed that they gap on many of the versions on Instagram. This is a smart fix. I agree with Martha! Smart fix and one to keep in mind when sewing any buttonholes with thicker fabric in areas where there will be extra stress. All really nice pants. 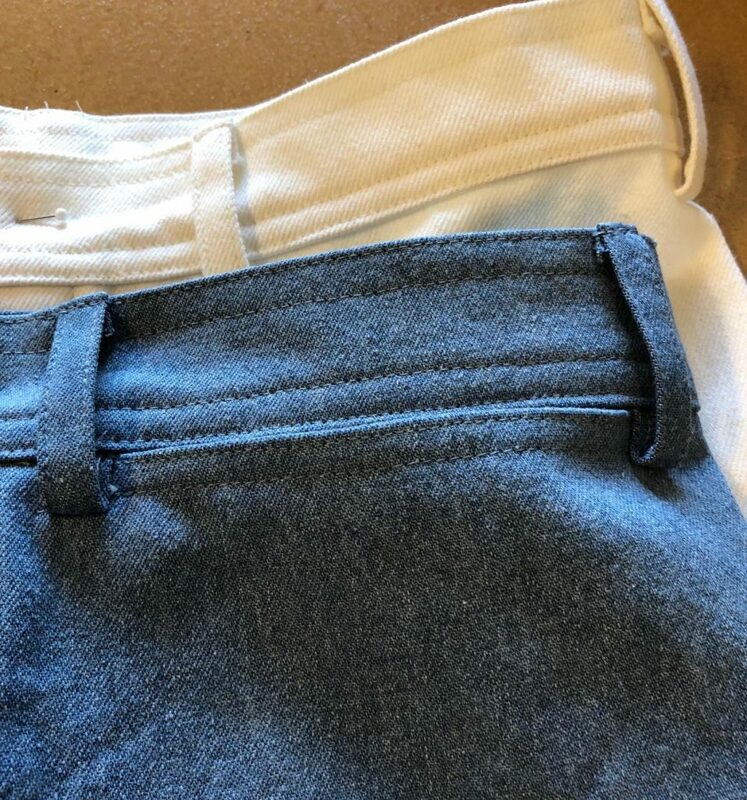 They have a nice clean silhouette without pockets (which I never use on a garment anyway!). I am in awe of the sewing workmanship shown in these pants. Will you be getting in any more of the sold out white denim?